Come to Carbon Canyon Regional Park and see it in a completely different setting – in the dark! We did this hike last year and loved it. Carbon Canyon’s annual fall/winter night hikes are here again. Park Rangers will lead a hike to the Redwood Grove showcasing the natural wonders that can only be seen at night. hot coca and cookies, a live animal presentation and a guided hike through the wilderness area. Space is limited, please email carboncanyon@ocparks.com or call (714) 973-3160 to register. Come for a grand tour of the universe! Join our amateur astronomers for a guided tour of the young crescent moon and other constellations. Learn myths and facts about the cosmos. 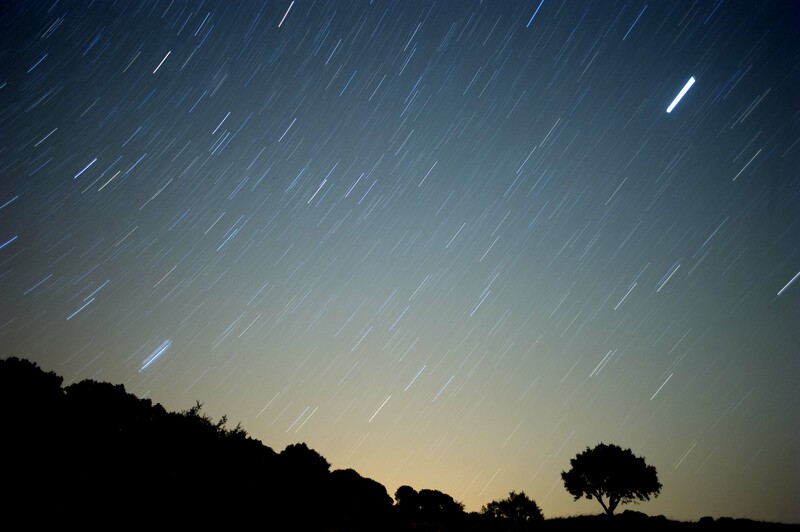 Observe wonders of the night sky including galaxies, star clusters, and double stars. Note: held only on evenings with clear skies (good weather). Call the Park at (949) 923-2210 for weather/sky updates or additional information. Come to the OC Zoo for a Zoo-tacular celebration! In addition to a great string of events planned for kids including: trick-or-treating*, spooky crafts, a scavenger hunt*, and face painting! 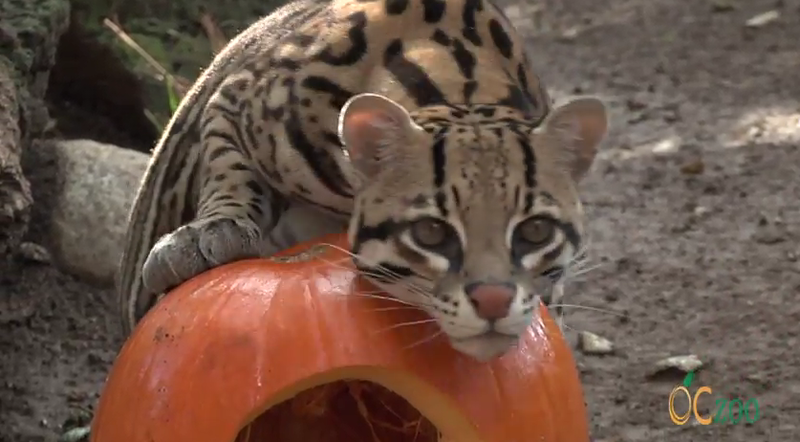 (*Kids ages 12 & under) the zoo animals receive treat filled pumpkins throughout the day! 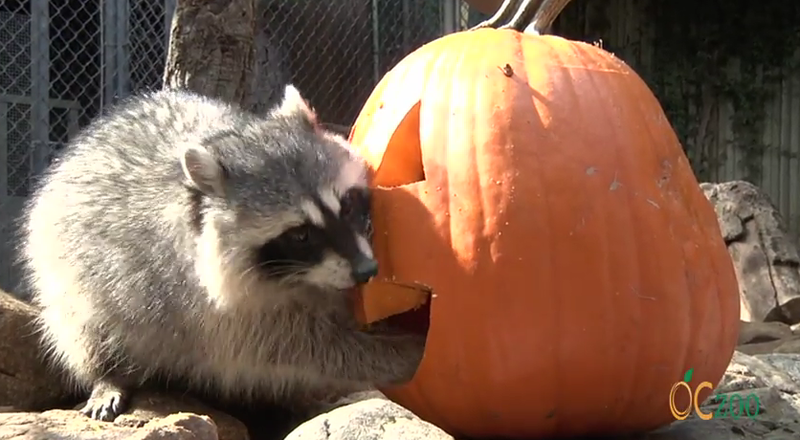 Raccoons get pumpkins filled with berries and mealworms while the black bear will get a peanut butter and honey filled pumpkin. Every 30 minutes, a different animal will get their Halloween treat. The First 100 children in costume (ages 12 & under) receive a free gift! Cost: $2 per person, ages 2 & under free, Activities are free with paid zoo admission. Reservations are not required. Get your hiking shoes on, grab your water and get to one of these FREE OC Parks guided Hikes this weekend. They are both bright and earlier in morning to be the heat. Remember these guided hikes are FREE, just cover the parking. Learn about the California native plants and wildflowers with a Laguna Canyon Foundation volunteer naturalist on this enjoyable, moderate paced 3.5-mile hike (600-ft. elevation gain). Terrain can be steep and rocky. Laguna Coast Wilderness Park, Willow Canyon Staging Area (20101 Laguna Canyon Road, just south of El Toro Road intersection). It’s Hikes & Bikes Weekend! If you’re looking for a guided Hike or a guided Mountain Bike ride this weekend, look no further! Here’s a list of guided Hikes & Mountain Bike rides through our OC Parks. Come and enjoy an easy, 2.5 mile family hike over moderate but uneven terrain (45-ft. elevation gain). Starting at the James Dilley Preserve we will hike one of the most diverse areas of the park to Barbara’s Lake and back. Hike is led by Laguna Canyon Foundation volunteers. Spot native birds, with Laguna Canyon Foundation volunteer naturalists on this moderate 2-mile, level hike over uneven terrain through one of the most diverse plant communities in the United States. Wear hiking or walking shoes and bring your binoculars! Laguna Coast Wilderness Park, Willow Canyon Staging Area (west side of Laguna Canyon Rd/SR-133, just south of El Toro Road). Relax in nature. Enjoy a short walking meditation, breathing and energization exercises, and sitting meditation. Bring a blanket and a pillow. No experience necessary. It’s Fathers Day weekend and our beautiful Orange County Parks has a special hike planned for the occasion. My pick of the week is the The “Fathers Day Journey Hike” at Aliso & Wood Canyons Park on Sunday. The hike is in the oak-filled Wood Canyon and Wood Creek Trails. You’ll search for wildlife and their evidence on this 2 mile/150 foot elevation gain hike. Whatever your skill level, there’s a hike for everyone. Get out there! Bring dad along on the backcountry wilderness hike he’s always wanted. Enjoy the oak-filled Wood Canyon and Wood Creek Trails as we search for wildlife and their evidence. This is a 2-mile (150-ft. elevation gain) hike. It’s a Hikes & Bikes Weekend!! I do get so excited about the the mountain bike tours even if I can’t make it. Our wonderful Orange County Parks offer FREE guided hikes and mountain bike tours that range from family friendly to challenging. Lace up the shoes and get out there! Be sure check the Calender for the other great events happening this weekend like the Kids Fishing Derby at Clark Park and the Mysterious World of O’Neill Regional Park. Learn about the California Native Plants and wildflowers with Laguna Canyon Foundation volunteer naturalist on this enjoyable 2.5 mile hike (45-ft. elevation gain) over moderately uneven terrain. Catch beautiful canyon views on this 10-mile ride over steep and uneven terrain (1,000-ft. elevation gain) with Laguna Canyon Foundation volunteer mountain bike trail assistants. This is for INTERMEDIATE riders with mountain biking experience. Appropriate mountain biking equipment required. Must have helmet, gloves, hydration; a snack is strongly suggested. Be prepared for varied weather out in the canyons. Enjoy a wonderful, moderate 3-mile walk (535-ft. elevation gain) through Laguna Coast Wilderness Park. Catch views of the canyons and mountain ranges from the ridge top and then walk down to Barbara’s Lake, a hidden jewel and the only natural lake in Orange County.